This Mushroom, Leek and Chestnut Parpadellle celebrates everything about seasonal produce in October. 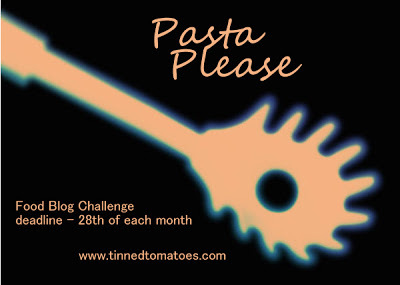 This month I’ve been guest hosting the #PastaPlease Challenge from Tinned Tomatoes. The theme is seasonal vegetables and I’ll be the first to admit that when putting together my entry I got carried away. Both leeks and wild mushrooms are currently in season so seemed like a perfect place to start when putting together my dish. Chestnuts, although obviously not a vegetable, are also in season and as one of my favourite autumnal ingredients I couldn’t leave them out! Because I wanted the seasonal ingredients to be the star I tried keeping the rest of the dish quite simple. 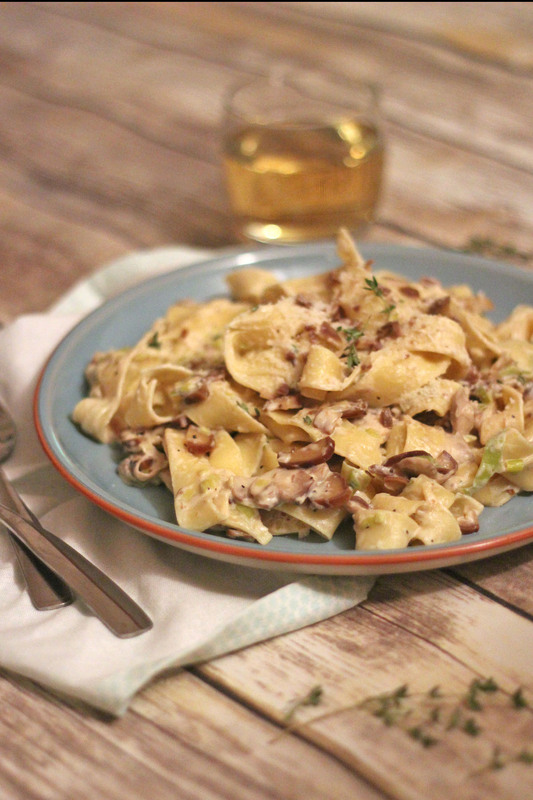 The sauce is made from a combination of cream, garlic, thyme and parmesan which greedily coat the parpadelle pasta allowing the wilted slices of leek, mushroom and chestnut to cling to each mouthful. Parpadelle is one of my favourite varieties of pasta because its large surface area means more sauce coverage! You could use a tagliatelle or even a fettucine but for me parpadelle is the perfect partner for the thinly sliced vegetables in this dish. The balance of pasta, sauce and veggies in this dish means that its a real hearty dinner. 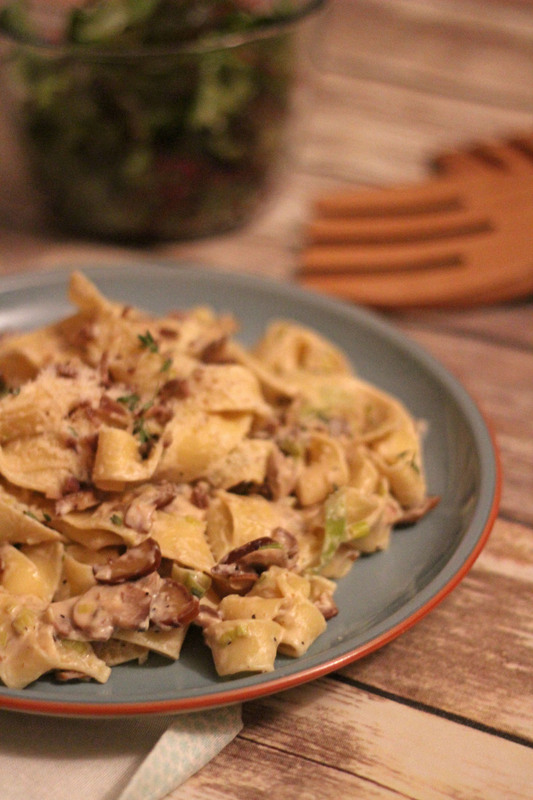 The creamy sauce is light yet rich and the mushrooms and chestnuts give the dish a real earthy flavour making this the perfect meal for October when we are moving from the last moments of summer into autumn. It also works equally well with a side salad for warmer evenings or comforting garlic bread as we get deeper in autumn. If you want to make my Mushroom, Leek and Chestnut Parpadelle just follow the recipe below- I’d love to see photos of the finished dish so why not tweet me @KitchenGoddess3 using hashtag #SupperintheSuburbs. Begin by melting the butter in a large flat bottomed pan with a little oil. Thinly slice the leeks, add to the pan and stir until the leeks are completely coated in the butter. Next, add the mushrooms and chestnuts to the pan, also thinly sliced and cook for 5 - 8 minutes until the mushrooms and leeks are tender and wilted. Add the garlic to the pan and cook for a further five minutes. Pour over the cream, stir in the parmesan and heat on low. Put the pasta into a large saucepan and cover with boiling water. Cook for 10 minutes until al dente. Drain the pasta and transfer to the pan with the cream sauce. Stir through so that the sauce completely coats the pasta. remove the leaves from your sprig of thyme, add to the sauce and cook for another 2 minutes. I’m enjoying seeing the entries that have come through so far. If you want to take part you can read all about how to enter on my original Pasta Please Challenge for October post here. Love the sound of this. I make a LOT of pasta dishes but never get round to blogging them. Shall try and rectify this month and link up. Definitely do Claire! I’d not posted any pasta dishes in ages either. They arent the easiest to photograph or style! I love pappardelle pasta and the way the sauce clings to it. This looks delicious! Thanks Jemma. Great minds think alike! I’m another pappardelle fan, this sounds so lovely and my husband is peering over my shoulder telling me just how much he likes the sound of it too! 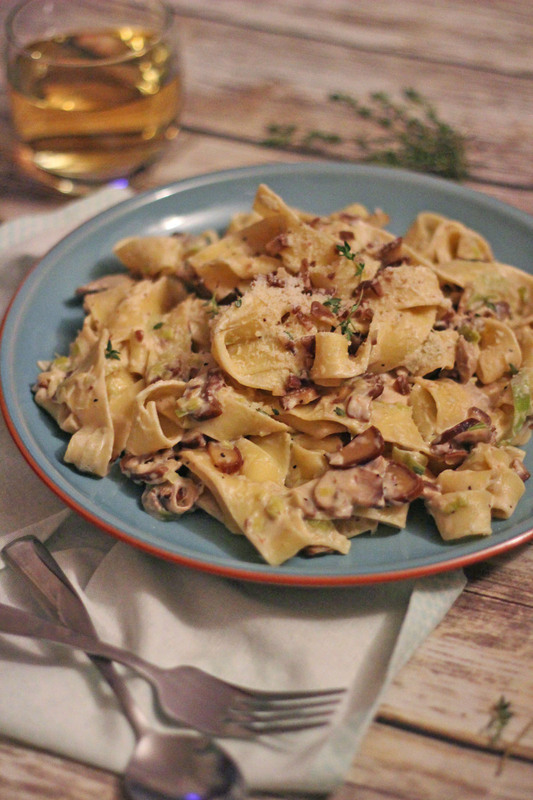 What a great parpadelle recipe Emma, looking forward to trying this when the chestnuts are ready, might even be lucky enough to find some mushrooms too.